Robin Morgan is an award-winning editor, journalist and author with more than 40 years experience in national newspapers and magazines and more than a dozen books to his credit. A former investigative journalist, foreign correspondent and executive, on assignments as diverse as the Middle East, Irangate, terrorism, and the fall of communism. He has enjoyed senior editorial and management positions at the highest levels of the media, including, the Editor of The Sunday Express, Editorial Director Designate of an international book, music and video publisher operating in 58 countries, and is the longest serving editor of The Sunday Times Magazine. During his eighteen years at the helm, the magazine garnered scores of national and international writing, editing, and photographic awards. He has contributed to GQ, Esquire, and Departures magazine, among others. He now runs his own media company creating books, web- sites, documentaries and public awareness campaigns for clients, devising promotions and marketing campaigns for clients. He also manages and monetises photographic archives and maintains his journalistic interests as contributing editor to major international magazines and as a consultant editor to national newspapers. 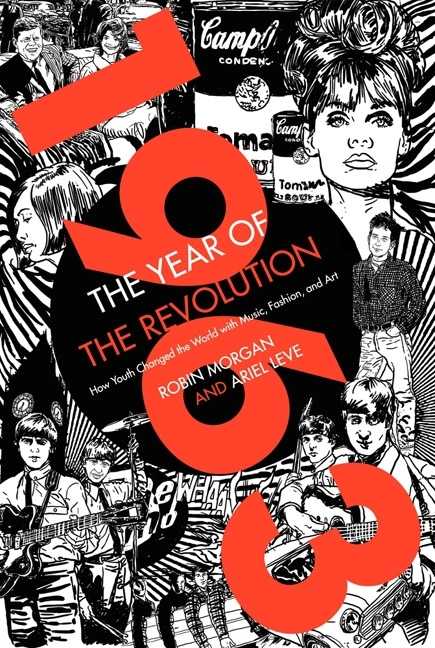 Ariel Leve and Robin Morgan’s oral history 1963: The Year of the Revolution is the first book to recount the kinetic story of the twelve months that witnessed a demographic power shift—the rise of the Youth Quake movement, a cultural transformation through music, fashion, politics, and the arts. Leve and Morgan detail how, for the first time in history, youth became a commercial and cultural force with the power to command the attention of government and religion and shape society. It was the year that Cold War protagonists sought a truce, the race to space stepped up a gear, feminism and civil rights flexed their political muscles, and President John F. Kennedy’s assassination numbed the world. But as the front pages of history were being printed, the scoop of the century slipped by unnoticed. On January 13, 1963, two then-largely unknown musical acts made their first appearances on nationwide television in Britain. Neither the Beatles nor Bob Dylan could have known it at the time, but through some strange alchemy the anthems of social upheaval were being heard by a mass audience—and these artists were the catalyst. Within the year, their voices were captivating millions of ears around the world. The Beatles had become the poster boys of a revolution that still influences us to this day, and Dylan its prophet.